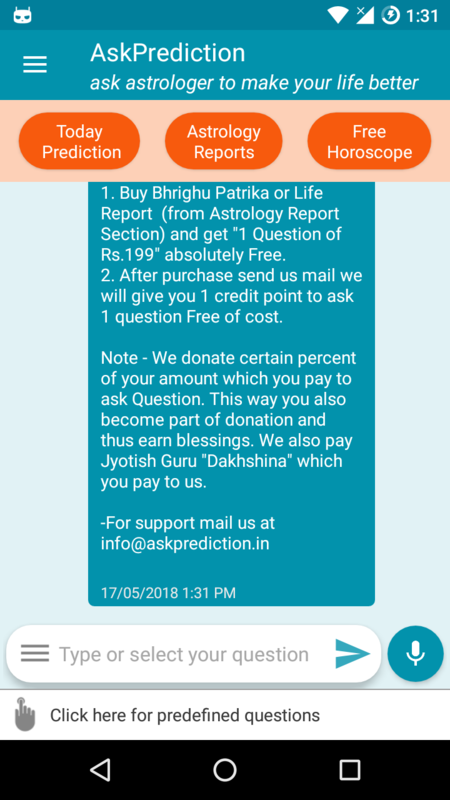 In this post I shall be reviewing an Indian astrology app. As the name suggests, Ask Prediction is an app where in you can consult an astrologer regarding your queries and predictions. 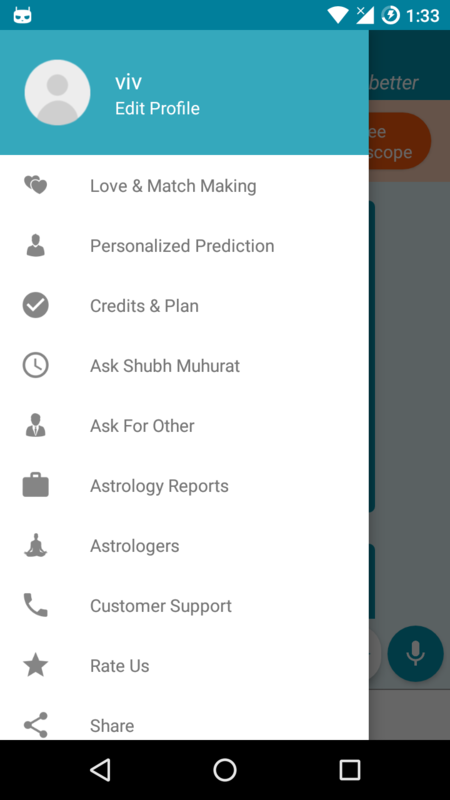 Besides this the app also has a ton of features like Daily Predictions, Personalised Predictions, Shubh Muhurat etc. Thus whether its about your career, business, love life or any other thing, the app and the astrologers are here for you. Lets take you through a simple walk through of the app. The app starts with 3 intro screens, highlighting primary features. Swipe through screens to view them. Next it asks you details for predictions. The details include things like, Name, Date of Birth, Place, Time, Email, Contact no etc. Some of these are required for predictions, others as an info of yours. Once done you are brought to main dashboard screen. Here you can ask your query with an astrologer. The interface looks like a chat screen with Predictions, Astrology Report and Horoscope on top. The top left navigation buttons brings in lots more options to choose from. 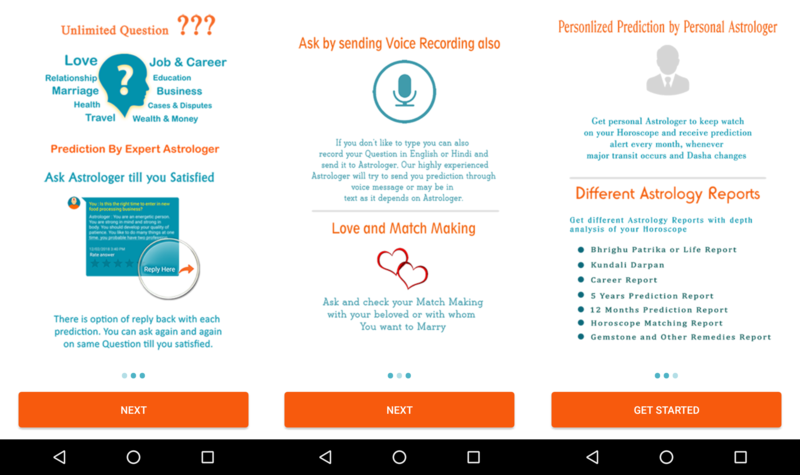 You get to find your Love compatibility, A good muhurat, personalised predictions and few more. I am leaving that for you to explore. So guys make sure to check this app out. 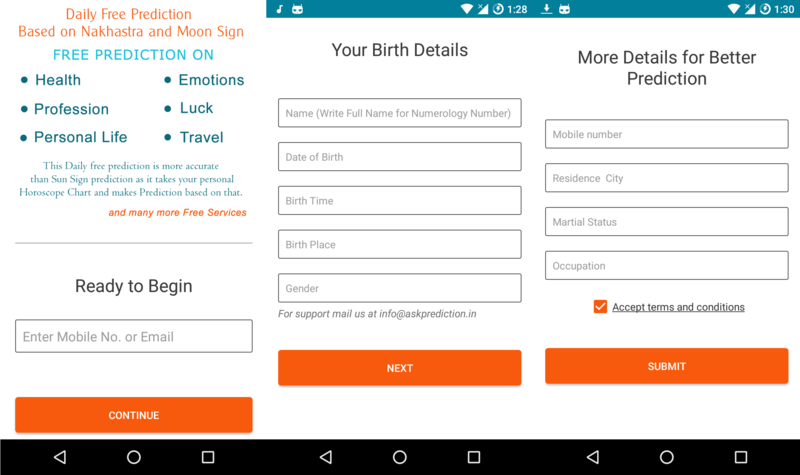 The app is available on playstore by name “Ask Prediction” and here is the url.